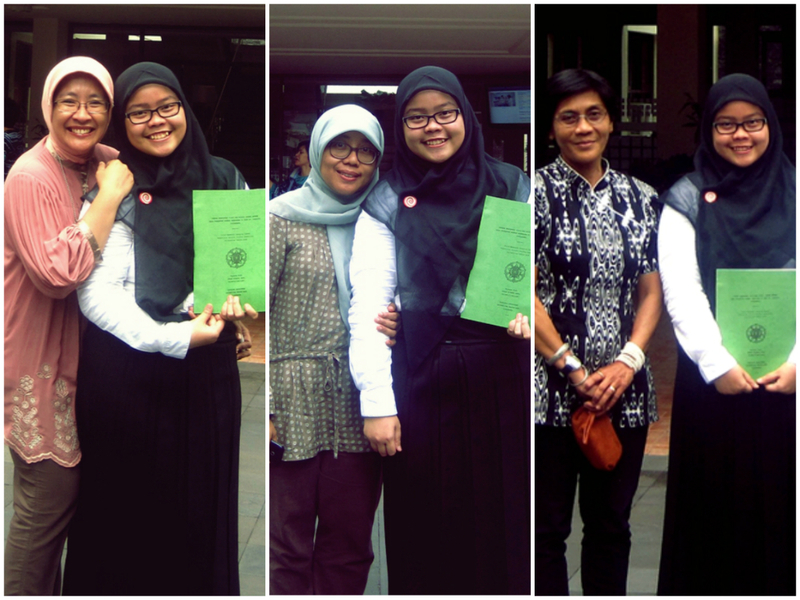 Life Update: Undergraduate Thesis is Done! Alhamdulillahirabbil 'alamin, praise to Allah.. 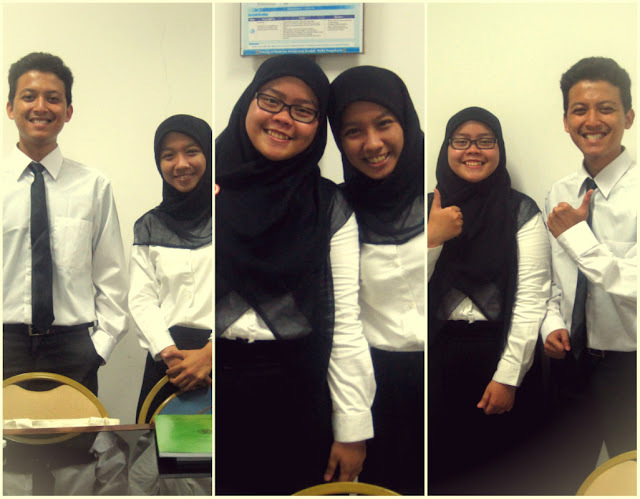 Finally my friends and I have completed our thesis at the end of our studies. Thanks to Allah, to my parents and my brother, my family, my thesis group (Rima and Bimo), and of course to board of examiners of our thesis (dr. Detty, dr. Shinta, Dr. Budi) who always guiding us and so kind with us.. May Allah bless you all..
after the exam and Alhamdulillah all of us get great grades! finally, I did it! thank you Allah.. But that doesn't mean that this is over..
Next week I will have a practice exam that determines me to continue my medical school became a co-assistant. So, bismillah.. Insya Allah I'll through it well too..
:) saya tau dr #indonesianhijabblogger, alhamdulillah sama2 dikurasi. aku follow blognya, mampir2 ya ke blog aku..